Passaic strikers men, women, and children take a break from the cold to get a beverage. This event took place during the Passaic Textile Strike, 1926. 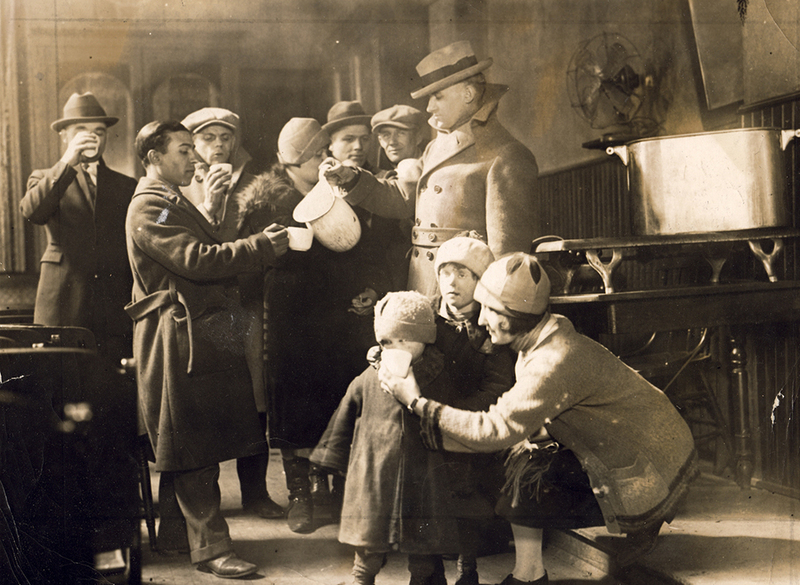 “Cold, hungry strikers, Passaic, New Jersey, 1926,” Social Welfare History Image Portal, accessed April 24, 2019, https://images.socialwelfare.library.vcu.edu/items/show/247.